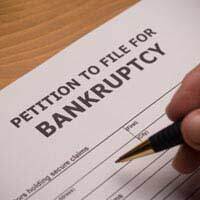 Home > Becoming Bankrupt > Changes to Bankruptcy Rules: Pay to Declare Bankruptcy? Recent changes to bankruptcy rules could make life harder for people who have declared themselves legally bankrupt and continue to live on low incomes. Once someone enters into an official bankruptcy agreement, their income and living expenses are reviewed by an Official Receiver. This official can determine a living budget, making an assessment of how much the person needs to live on. Any money over that amount is declared as ‘disposable income’. Last year, if the disposable income of someone declared bankrupt was less than £100 per week, they were entitled to keep hold of that money. Anything over and about the £100 limit would be put towards paying off their outstanding debts. These rules have, however, now been changed. Since 1 December 2010, if the disposable income of a bankrupt person is above a new threshold of just £20, then the remainder will be required to be paid towards any outstanding debts, over a three year period. So Why Change the Rules? One of the main reasons why the Government has changed the laws on disposable income for bankrupts is to bring bankruptcy rules more in line with those that are in place for Individual Voluntary Arrangements (IVAs). With an IVA, the person who is subject to the arrangement is expected to pay all of their disposable income towards their debts, meaning that after all reasonable living expenses are deducted, the remainder has to go towards paying off the debt as soon as possible. The new rules have therefore been put into place to ensure that bankruptcy is not considered a ‘softer option’ for those with large debts. Many people with IVAs had complained that by allowing bankrupts to keep up to £100 of their disposable income each month they were being unfairly treated. A more cynical view would be that the Government is taking the opportunity to increase its revenue by tightening the rules, specifically at a time when it is making budget cuts in other areas. There are, however, still some differences between the rules regarding disposable incomes for bankrupts and those following an IVA. For example, disposable income must continue to be paid towards debts for three years for anyone with a bankruptcy order, whereas with an IVA it has to be paid for five years. Will Agreements Made Before December Be Amended? One of the biggest questions raised by the change in rules is what will happen to any agreements made with an official receiver before the 1st of December. The good news is that any income payment agreements put in place before the rule change will continue as normal. If your financial circumstances change significantly during the three year period, then the amount of disposable income to be repaid will be reassessed based on the rules and the original agreement. If, however, you were declared bankrupt but do not have an income agreement in place, then the new rules will be applied when setting up the agreement. Despite the rule change, and the reduction in the amount of disposable income that a person registered as bankrupt is allowed to keep, bankruptcy is still likely to be a popular and useful option for many people. Their debt will still be written off after twelve months (providing the official receiver agrees), and if you cannot afford to pay any money towards repaying your debts, then you cannot be forced to.